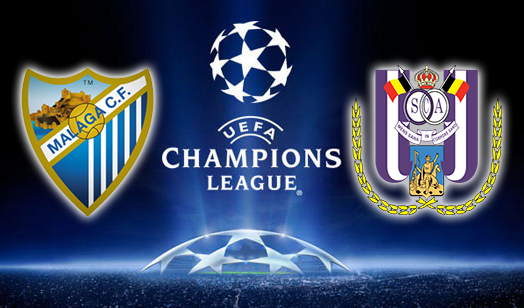 Malaga and Anderlecht face each other tonight and Malaga look good to preserve their unbeaten record while Anderlecht will be trying to secure a place in the Europa League. The bookies think that the match will go the Malaga; fans will find odds of 15/13 on a Malaga victory. Those looking for odds on Anderlecht won’t find better than 11/4. Malaga is missing defender Martin Demichelis as he received his third booking in the match against Zenit St Petersburg. He will probably be replaced by Sergio Sanchez who will be making his third appearance in this year’s competition. Manuel Iturra is available again after his suspension and goalkeeper Willy Caballero was in training on Sunday despite being knocked in his last match. Anderlecht will be desperate for a win but they have to do it without Bram Nuytinck since he was dismissed against Milan in the last match. The team will struggle to get past Malaga’s defence which has only conceded three goals in the whole competition. However, Anderlecht, under John van den Brom’s guidance, has already managed to open a six-point lead at the top of the Belgian Jupiler League this season and the team should definitely not be discounted.